Another page in which the struggle to get decent results continues. It's mysterious to me why I have these battles from time to time. On those rare occasions when the drawing is going well, I get a pleasing "buzzing" sensation at the base of my skull. This was not one of those times. Ah, well. Please enjoy, anyway. I've added some Milestone Goals to my Patreon Campaign. Hopefully, this will fire up some enthusiasm. If the Patreon makes it up to $50, I will start posting another webcomic to run concurrently alongside C & E called DELIA. This one os a collaboration between me and my talented wife Krissy Dorn. If it achieves the $300 Milestone Goal, I will be able to quit my day-job and resume the long-dormant ECTOPIARY webcomic! Please make this possible! For some mysterious reason, I was struggling with this page. In spite of every effort to the contrary, the girls still appear to be stiff and unnatural. There was a lot of cursing and crumpled paper emanating from my drawing board that day. Hopefully, future pages will look better. I decided that the big guy's name is Fronky. That was the name of George Orwell's imaginary friend when he was a small child. 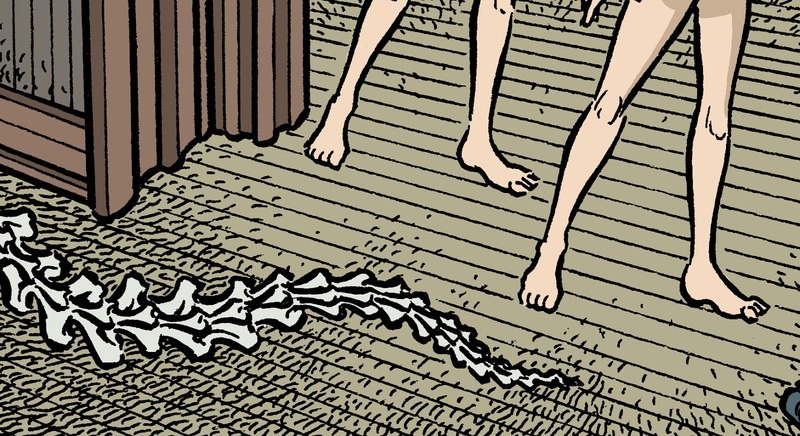 Hijinks are ensuing on Page 13 of COCHLEA & EUSTACHIA. 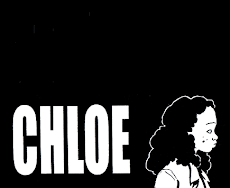 By the way, if you hadn't heard, I've started a PATREON campaign for my webcomic! I would be really grateful if you contributed! Although the site might give you the impression that the minimum necessary pledge is $1, you can decide to give any amount you choose - even a 25¢ weekly payment is gratefully received and will give you access to the same benefits of other Patreon contributors! 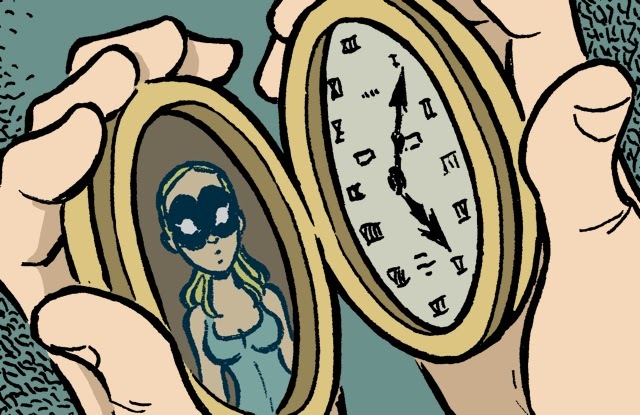 It's taken awhile, but I've finally started a Patreon page for my webcomic. This would be an excellent time to add "support Chrome Fetus Comics" to your list of New Year's Resolutions!